Break down on the side of the road at night? The road flares can be seen a mile away at night to warn other drivers. Protect yourself and your loved ones! 9 EMERGENCY FLASHING MODES - Each flare has 9 flashing modes for different SOS signals both for marine and road emergency use. Waterproof and Crushproof - Break down in the rain? Each disk is coated with waterproofing IP65 rated material to keep the electronics safe. Made of super strong industrial engineering plastic and TPR, our roadside flare can bear a 30 ton vehicle. MAGNET AND HOOK FOR VERSATILITY - Attach the flares to the sides or back of your car or truck. Guarantee Your Safety In Case Of A Road Accident: If you are a car driver, a motorcyclist, a cyclist or even a hiker, accidents do happen. It’s always better to anticipate them and be ready for them instead of being unprepared and unequipped for the unexpected. Let's say your car broke down and is left at the side of the road and not able to use the emergency blinkers. If another motorist isn't paying attention and drifts into the shoulder, it could endanger yourself and the motorist. Led road flares were apparently invented by a Police Officer as a replacement for the old-style perchlorate emergency flare that’s been around forever. Obviously, the old-style emergency flares are extremely dangerous when lit and, as I learned, they’re also dangerous to store or in the trunk of a car. But an LED Road Flare can be used near gasoline or fuel or in other hazardous chemical or other dangerous environments — the type of environment where the old-style flare should be at least 100 meters away. LED Strobe Lamp is an essential piece of equipment for police, firefighters, EMTs, rescue first responders, and members of emergency response teams. 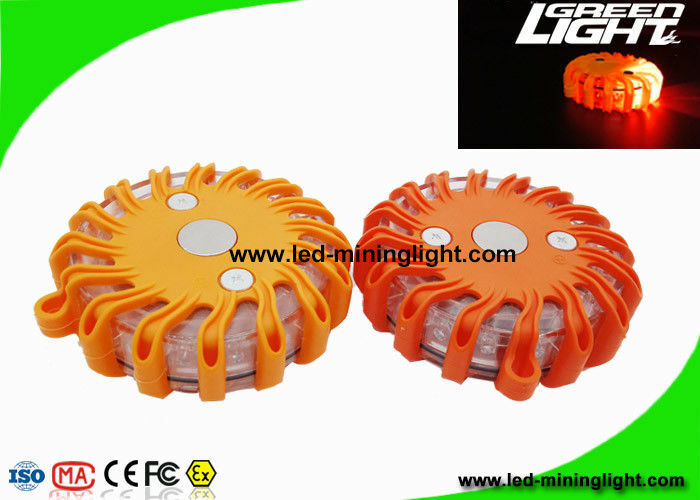 Led road flares often uses by the emergency services, construction and maintenance industries.